The announcement that Kiwi racing driver Brendon Hartley will race for Formula 1 team Scuderia Toro Rosso in America next weekend is a yet another major milestone in Hartley’s stellar career and for New Zealand motorsport as a whole. Hartley’s debut F1 race, the United States Grand Prix at the Circuit of the Americas (COTA) in Texas on 22 October, is 50 years to the day since Hulme became the first, and only New Zealander to win the World F1 Championship. Hartley, age 27 and originally from Palmerston North, joins a small line-up of just nine Kiwis who have raced in the world’s top circuit racing category to carry on the tradition set by Bruce McLaren, Denny Hulme and Chris Amon. It’s 33 years since a New Zealander, Mike Thackwell, last raced in Formula 1. President of MotorSport New Zealand, Wayne Christie says: “Everyone at MotorSport New Zealand and our wider motorsport community are already very proud of Brendon Hartley’s achievements as a driver, having won with FIA World Endurance Championship and the famous Le Mans race with his Porsche team-mates. “We congratulate Brendon on being selected for this one-off drive and we hope it leads to yet more opportunities for one of our best drivers,” says Christie. 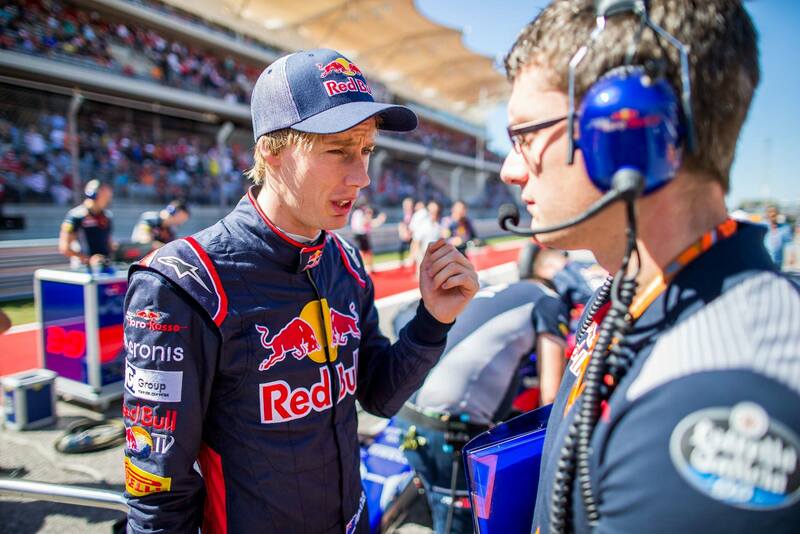 Of the news that he would replace Pierre Gasly at Toro Rosso for the US Grand Prix, Hartley said: “What an amazing feeling! This opportunity came as somewhat of a surprise, but I never did give up on my ambition and childhood dream to reach F1. I have grown and learnt so much since the days when I was the Red Bull and Toro Rosso reserve driver, and the tough years I went through made me stronger and even more determined. Hartley last tested with the team back in 2009. Eight years later, he will be taking part in his first Formula 1 Grand Prix, at the Circuit of the Americas, alongside Daniil Kvyat. Kiwi fans saw Hartley race at home as a teenager and key among his achievements in single seaters was, at the age of 15 in 2005, becoming the winner of the first-ever race of the inaugural Toyota Racing Series. That year, he also attended and graduated from New Zealand’s highly-regarded Elite Motorsport Academy which offers an annual one-week intensive training camp and year-long coaching programme to assist up to nine motorsport competitors with their mental and physical fitness, and sponsorship, marketing, nutrition and media skills. With the support of a number of New Zealanders, Hartley headed for Europe at the age of 16 and, after much hard work, has a number of notable achievements to his credit including being reserve driver for the Red Bull F1 team in 2009 and 2010 and part of the Red Bull Academy. He tested with Mercedes F1 in France in 2012, then switched to sports cars. In 2015 he was crowned WEC Champion alongside Mark Webber and Timo Bernhard and, in June this year, won the Le Man 24 Hour Race with fellow Kiwi Earl Bamber and Timo Bernhard. This weekend Hartley is racing with Bamber and Porsche LMP1 team-mates at the Japanese round of the FIA World Endurance Championship.